A meeting is being held today to try to get more action to tackle the problem of Lyme disease in the UK. It comes as there are claims that thousands of cases of the disease are going undetected. Lyme disease is a bacterial infection spread between humans by tiny insects called ticks, with around 2,000 to 3,000 new cases emerging in England and Wales each year. Although the disease can be treated very effectively if diagnosed early on, there can be long-lasting and serious consequences if it is not picked up on until later stages. Heidi Luckraft, from Nottinghamshire was diagnosed with the disease after being bitten by a tick while walking her dog in a park. 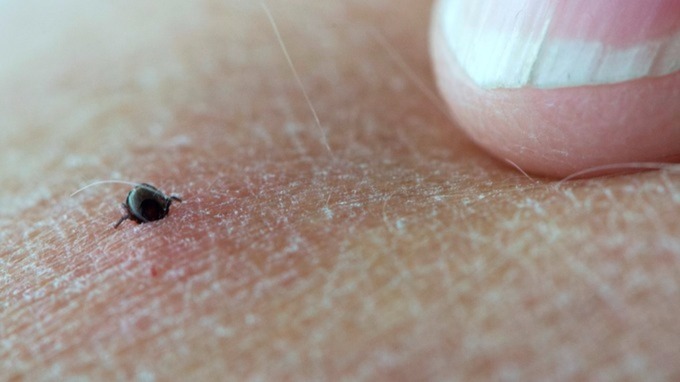 Some people who have contracted Lyme Disease develop a circular rash around the tick bite between 3 and 30 days after being bitten. It’s usually about 15cm across and the edges may feel slightly raised. However, bear in mind that one in three of those with the disease do not develop this rash. Failure to diagnose and treat the disease can lead to more serious symptoms further down the line. NHS advice recommends that you see your GP if you develop any of the symptoms described above after being bitten by a tick, or if you think you may have been bitten. Remember to inform your GP if you’ve spent time in woodland or heath areas where ticks are known to live.